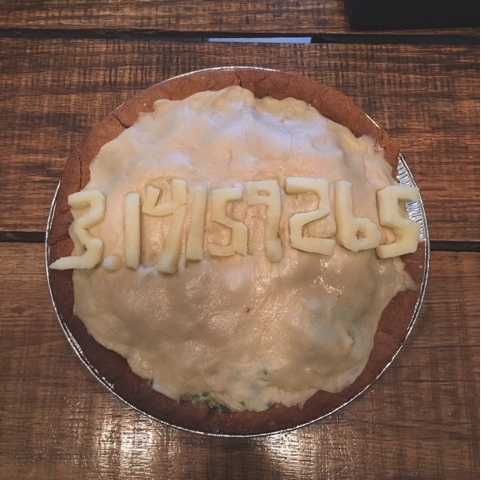 Yesterday being March 14th or *Pi* day, I decided to make a fun supper for the family. A hearty supper pie and a dessert pie. I got some sausage from a local market and browned it with onions, garlic, mushrooms and spinach. 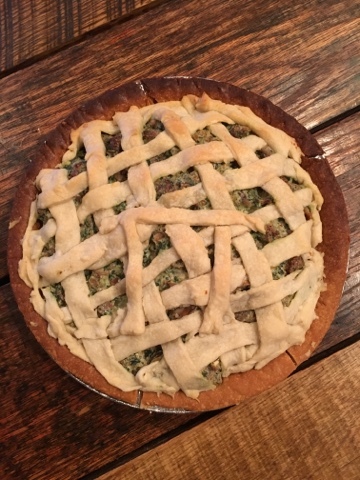 I made a double pie crust to decorate the tops of the pies. The bottoms got a wee bit too done, but no matter, because they were really delicious. After all the meat and veggies were cooked and tender, I added some cream cheese, and some stock to make it into a nice, hearty, thick filling for our supper pies. I'm looking forward to leftovers for supper tonight! 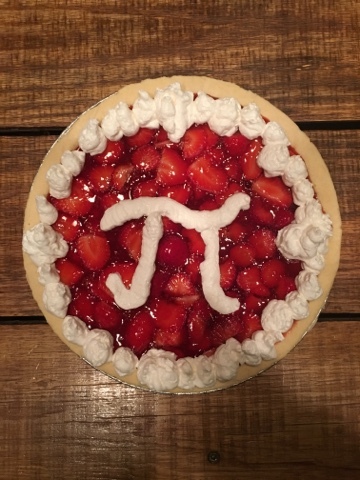 I also decorated the pie with pi. I cut them out of some mozzarella cheese, but I did it a bit too thick and they melted too much. On the bottom pie, I cut the pi symbol out of my crust. For dessert, we had strawberry pie, Shannon's favorite! I hope y'all had a fun day yesterday as well!